Last Sunday was perfect. I brought the coconut cake to a Thai friend’s dinner party to complement their Thai dinner. I was glad they liked the cake. They loved the light texture of the frosting and the generous amount of sweetened shredded coconut. 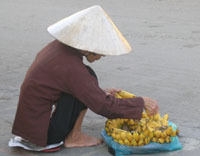 I hope you will enjoy this recipe and add a dream-like tropical dessert to your Thai dinner at home. Primroses greeted me in January; I used them to decorate the cake. Coconut Cake with Coconut Frosting was the answer to my longing to create a dish to duplicate the flavors of a tropical land in a western kitchen. 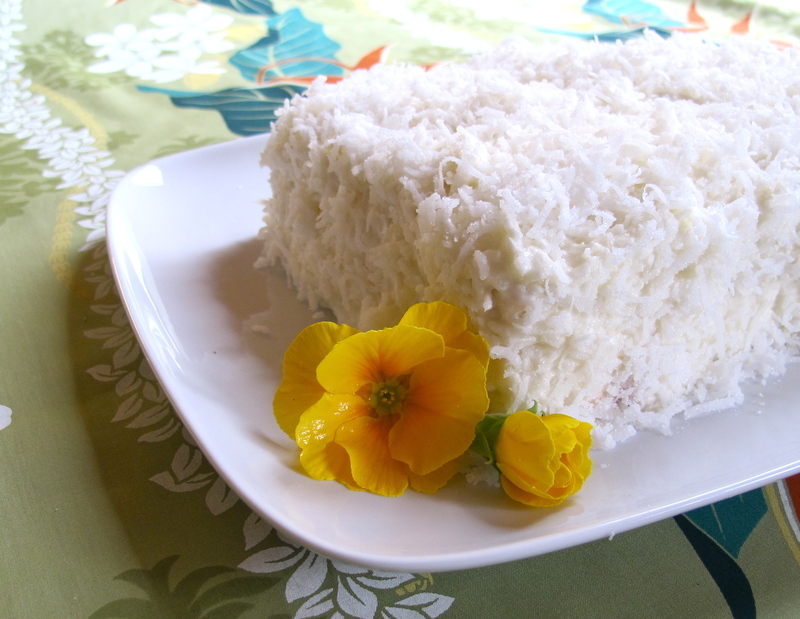 I personally have never tasted coconut cake in Thailand but came to love the cake in America and most recently on my visit to Maui. 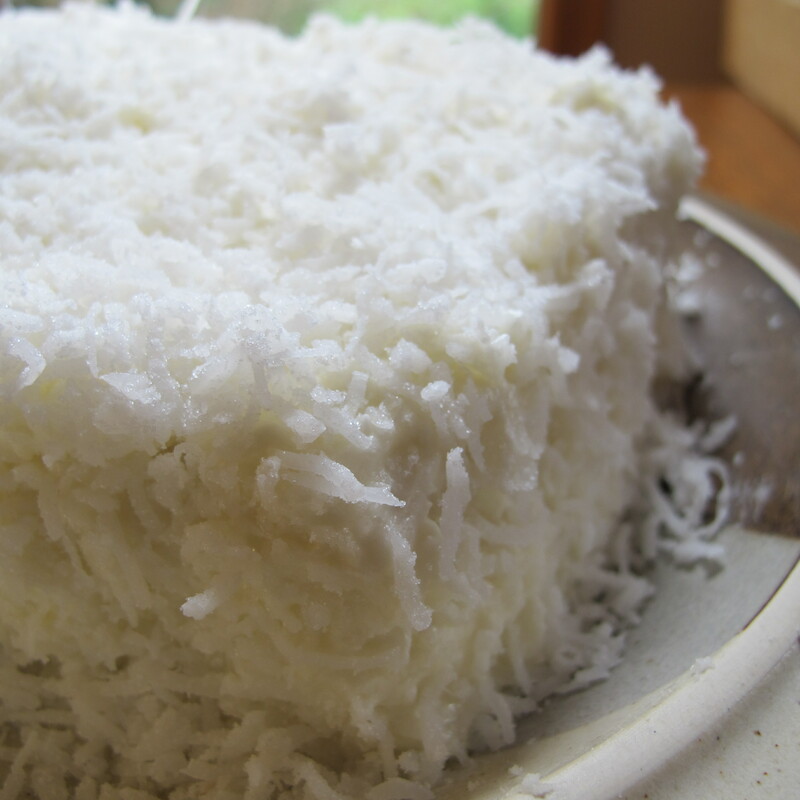 I can’t live without coconut and was excited about adding coconut cake to my repertoire. The body of the cake that I envisioned can be any white, spongy cake that gets its coconut flavor from coconut milk and natural coconut flavoring. Its frosting should be light and fluffy with pure coconut flavor and a mouthful of shredded coconut. First step: Cream butter, then add powdered sugar and coconut cream. Step 2: Stir in coconut flavor, jasmine flavoring essence and sweetened shredded coconut. Step 3: Spread frosting between the layers and on the top and sides of the cake; add sweetened shredded coconut on the top and along the sides. 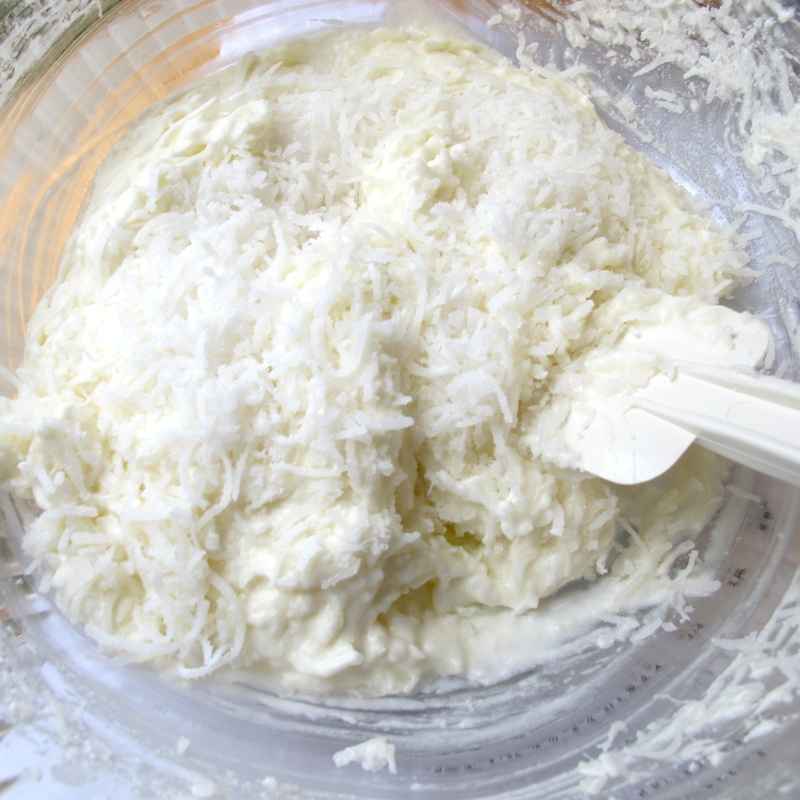 When it comes to making coconut frosting for coconut cake, I keep it simple, low fat and fast. The whole process should be easy and carefree. The frosting needs to be creamy, but thick enough to stick to the surface of the cake and to allow the shredded coconut to stick to it. We need either cream cheese or butter to begin with, then I use coconut cream to lighten it up and add powdered sugar until the mixture gets to the desired texture. For coconut, you can use dry coconut chips/flakes, freshly grated coconut or simply sweetened, shredded coconut. I baked the cake the day before and made the frosting the next day—it doesn’t take long to whip up and spread—then the cake is ready to serve. The secret to making this frosting dreamy is to have a real coconut flavor heightened with either vanilla, rose, lavender or jasmine. With an electric mixer, beat butter on medium speed until creamy. With a spatula, fold in sugar and coconut cream; beat until creamy, about 3 minutes. 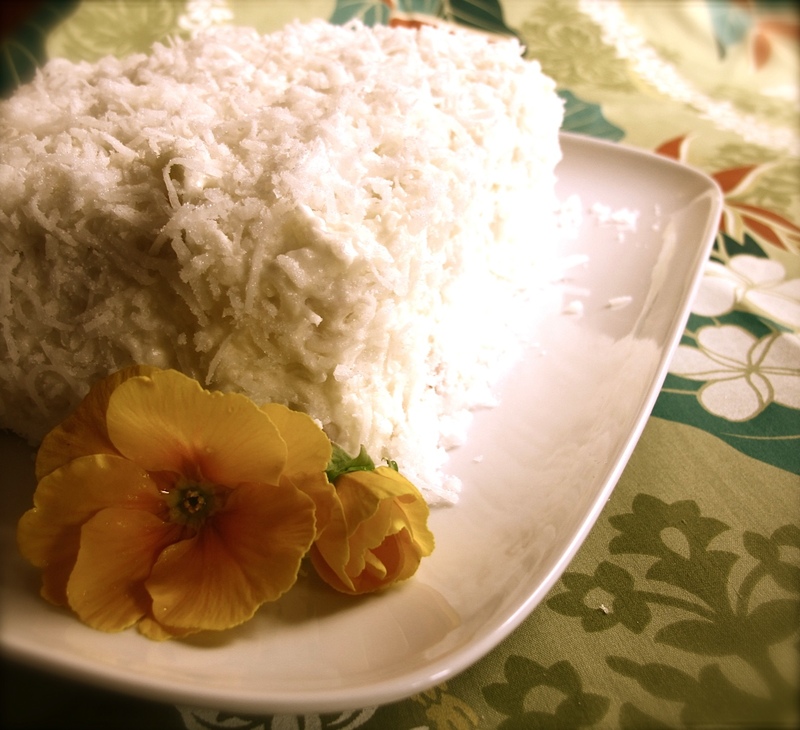 Fold in coconut flavoring, jasmine flavoring essence and 1½ cups sweetened shredded coconut. 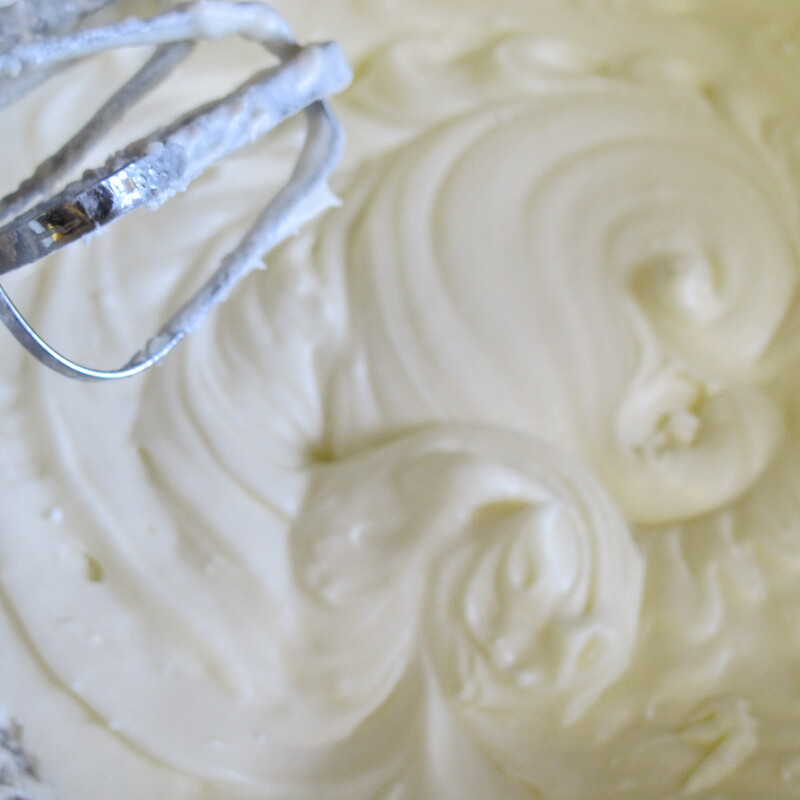 You may use ½ cup of the finished mixture as a filling and the rest, about 1½ cups, as frosting. Spread the frosting to cover all of the cake surface, then cover the frosting with the rest of the sweetened shredded coconut. I am glad you liked my 4 layer coconut cake recipe. You have a wonderful site. I love Thai food. Ann, your recipe looks good, I think visitor should try yours. I sounds so delicious. I like your beautiful site. 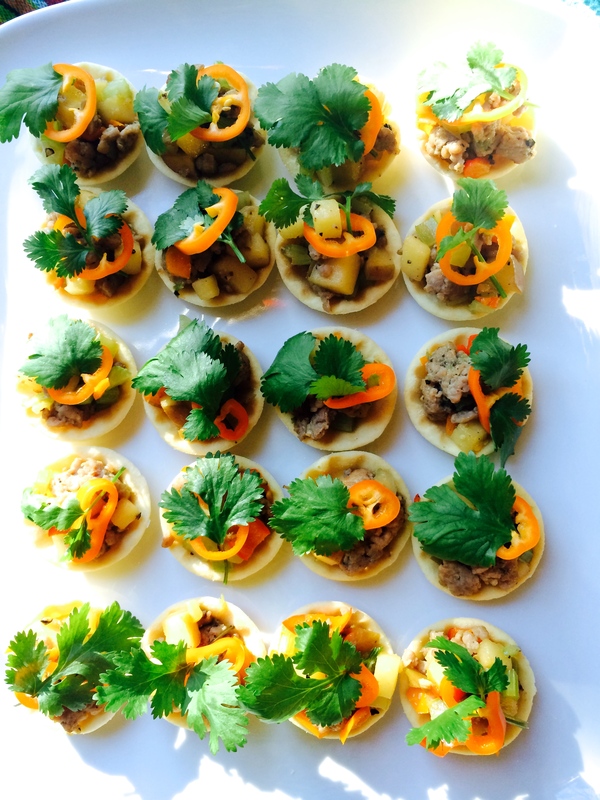 I love Thai food and your dishes looks delicious. I’m glad I found your site.